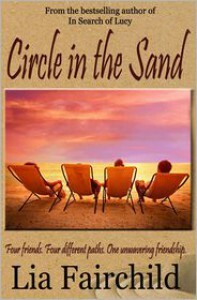 I loved the premise of the story; four points of view, four friends each at a crossroads in their lives and the potential for their friendship to move in very different directions. The story flows very well with each character bringing their own spin on events, both past and present, ensuring that the tale moves at a good pace. By the end of the book I felt like I was part of the circle and my only disappointment was that I wanted to know more about each character and I wanted them to be my friends too. I particularly loved that each character was so different; I felt like I knew a version of Jax, Emily, Sage and even Ned in my own life and I could identify with each and every one.